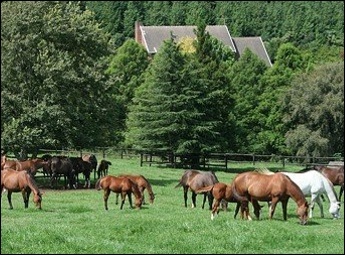 Rathmor Stud was purchased in June 1998 from Dr Allan King, and it was known previously as Kingswood Stud. 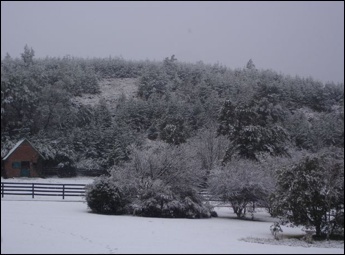 The farm is situated near Nottingham Road and it is a family owned business, managed by Michael and Tanya McHardy, and assisted by Michael’s parents, Bernard and Wendy McHardy. The farm is 200 hectares in size, with 30 hectares under irrigation. 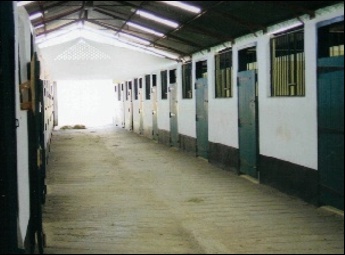 It has 88 stables including 3 for the resident stallions. 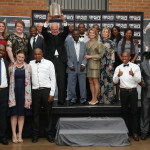 The farm also grows 20 hectares of its own eragrostis, and borders the Umgeni River. It has always been Rathmor’s intention to breed with the best to the best and to breed with selective mares that qualify for the National Yearling Sales, and the results Rathmor Stud have achieved certainly speak for themselves. Besides providing a service of boarding mares for clients, Rathmor provide sales preparation and present horses at sales. Rathmor keeps a quality broodmare band of about 50 mares, of which about 15 mares are owned by Rathmor and the bulk owned by clients. 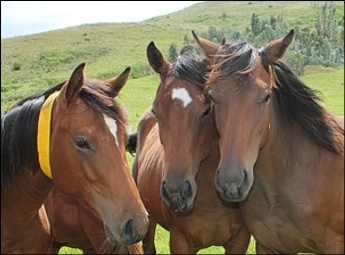 The broodmares include the likes of Gypsy Queen (by Royal Chalice) the dam of Gypsy’s Warning and Surabi. Gypsy Queen is currently in foal to Fort Wood once again, due this season. Gypsy’s Warning (by Mogok) won the Grade 1 South African Fillies Classic and Grade 1 Thekweni Fillies Stakes, as well as the Grade 3 Acacia Handicap before being sold to Team Valor and exported to America, where she continued her successful form and won the Grade 1 Matriarch Stakes and Grade 3 Eatontown Stakes. Surabi (by Wolfhound) won the Grade 2 Camellia Stakes and the Listed Gardenia Handicap. 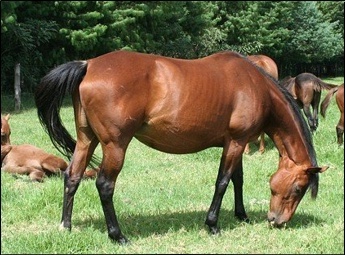 At the 2011 National Yearling Sales, Gypsy Queen’s filly by Fort Wood named Gypsy Madonna was sold for R1 350 000. Other successes included the now deceased Grecian Gale, who was the dam of Wendywood and Malteme. 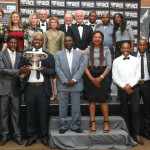 Malteme (by Rakeen) won the Grade 1 Steinhoff Summer Cup as well as the Gold Circle Derby Grade 2. Sadly Wendywood ‘s short racing career of 3 starts was cut short by her premature death, but she was enormously talented, winning her debut. 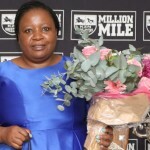 Her second run was in the Grade 1 Woolavington 2000 which she won, and then controversially she was entered into the Vodacom Durban July, and only ran 3.5 lengths off Pocket Power/Dancer’s Daughters dead heat. The resident stallions currently standing at Rathmor Stud are Woodborough(USA) and first season stallion Strategic News(AUS). 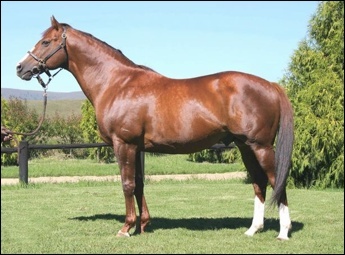 Strategic News (By Strategic – Sensuous by Grand Lodge) is a winner of the Grade 1 Steinhoff Summer Cup 2000 metres, as well as a winner in Dubai in the Dubal Casthouse Handicap (Dubai) over 1600 metres. 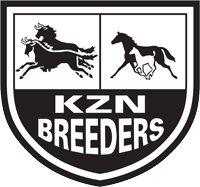 His service for 2011 is R5 000 and his pedigree indicates that he will be very well suited to our mares in this country carrying the lines of Northern Dancer, Neverbend, Sharpen Up, Herbager, Round Table, Bold Ruler, Sir Tristram and Blushing Groom. Woodborough (Woodman – Performing Arts by The Minstrel) to date has sired numerous Graded winners in New Zealand and South Africa, with the likes of Egyptian Ra(NZ), Wood Be Magic, Thandolwami and Aim High to name but a few, and he consistently produces winners. He raced in England, Ireland and France and had 2 wins over a distance of 1200-1250m and placed 3 times in Grade 1 company, including a 3rd in the Grade 1 Prix de la Salamandre over 1400m. He was the Joint highest rated 2 year old in Ireland in 1995. 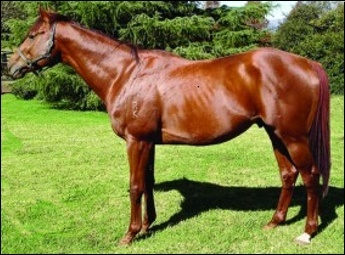 Woodborough began his stud career in New Zealand, and in 1997 he was Champion First Season sire in 2001/2002. He went to stud in Ireland in 1998 and became Leading first and Leading second crop sire in the UK in 2001/2002. 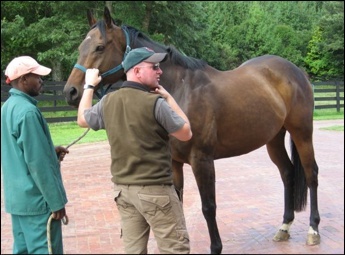 He was sent to stud in South Africa in 2003. Woodborough is a beautiful looking chestnut with an exceptional temperament. His service fee for this year is R6 000. Rathmor Stud won the Equus 2011 Breeder Award for Exceptional International Achievement as well as the Equus 2011 Award for International Achievement for their champion mare Gypsy’s Warning. If you would like to contact Rathmor Stud, please contact either Michael or Tanya on 033-2666853 or alternatively email rathmor@bundunet.com.